Sophy Drechsler was the daughter of John and Carolyn Sievert, one of the first families to settle in what is now River Forest. As she was growing up, the area was so sparsely settled that she was the only one in her graduating class at Harlem School. In 1895 she married Charles Drechsler, a young man determined to succeed in business. 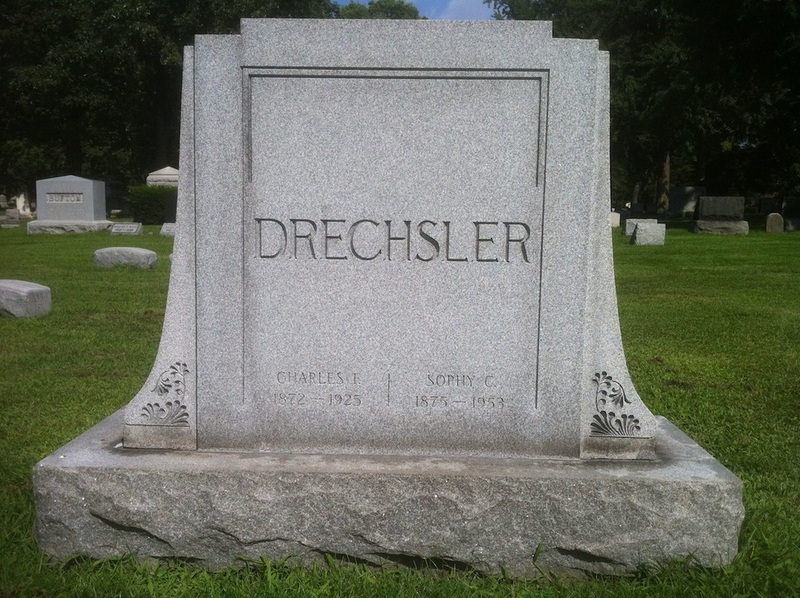 At an early age, Drechsler had left his family's farm in Leyden Township and trained with J. W. Senne, an early undertaker in Forest Park and Oak Park. When he was only twenty-two years old, Drechsler bought out Senne and continued to operate the under taking and ambulance services. In addition, he managed a wide range of business ventures that included repairing and upholstering furniture, renting fireproof storage space, moving furniture, and eventually, selling Franklin automobiles. In 1898, Drechsler commissioned the noted architect E. E. Roberts to design a four-story brick building, which still stands in Oak Park at 1116 Lake Street, just west of Marion Street. The building housed and advertised all his various business ventures, as shown in the drawing here After his death, Sophy Drechsler kept the funeral home operating and served as its bookkeeper until her son Earl completed school. She remained active in the family business until her own death.